Still smarting from being kicked out of his Michelin-starred restaurant halfway up the Eiffel Tower, France's most famous chef Alain Ducasse is pressing on instead with a new restaurant almost directly underneath it -- and, he boasts, it floats. Ducasse, who has won a total 21 Michelin stars -- more than any other chef alive -- will be dishing up lobster and duck foie gras onboard an electric boat on the River Seine from September 10. 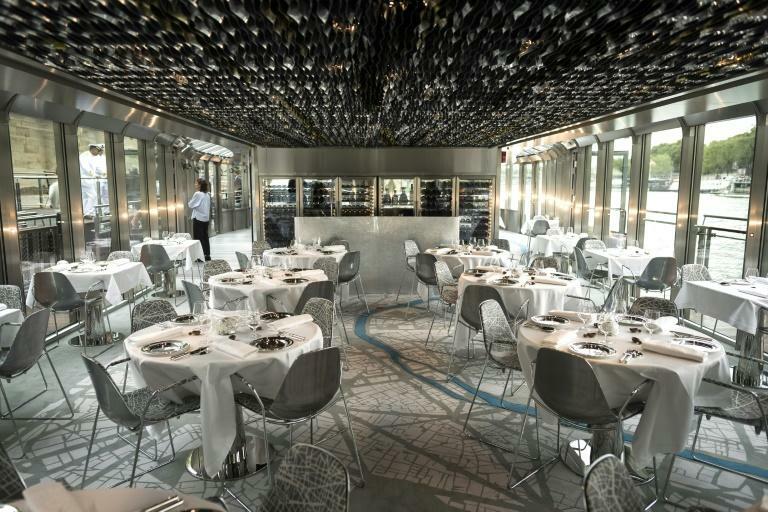 "It's accessible, contemporary French high gastronomy -- on a boat," he told AFP at a table for two onboard the 130-seat Ducasse Sur Seine, which will trundle along the river as diners tuck in. "It's surely the most extraordinary architectural and cultural trip you can have on a river anywhere in the world," he said. It is perhaps cruel that the 38-metre (125-foot) boat docks just in front of the French capital's most famous monument, given that Ducasse went to court this month to challenge his eviction from its one-star Jules Verne restaurant. He was said to be livid after fellow star chefs Frederic Anton and Thierry Marx won a ten-year tenure to run the Eiffel Tower's gastronomic restaurant, where he cooked for US President Donald Trump during his visit last year. Asked about the setback, Ducasse's communications chief tried to stop him answering. But the chef insisted on addressing a defeat which he is still struggling to digest. From his boat, "I see the Eiffel Tower and more -- I can see all the monuments of Paris," he said pointedly. "The Eiffel Tower is in a fixed location. Another beautiful story is just beginning." In court, Ducasse's lawyers argued that the 61-year-old was "the most-starred chef in the world" after the death this month of fellow culinary legend Joel Robuchon, and accused the consulting company used for the Eiffel Tower tendering process of a conflict of interest. He has suffered setbacks before in a four-decade career that has spawned some 30 restaurants around the globe: his first New York venture Essex House flopped upon its launch in 2000 amid ridicule about its astronomical prices. Lunch onboard the glass-walled boat, an idea Ducasse first dreamed up five years ago, will start at 100 euros ($117), and dinner from 150 euros. Both will feature a one-and-a-half hour loop of the Seine, past monuments including the Louvre and Notre Dame cathedral, timed at night to bring diners back for the sparkling of the Eiffel Tower's lights upon the hour. Some critics complain that Ducasse, who became a citizen of low-tax Monaco in 2008, is rarely in the kitchen himself. The boat will be no different: he has charged his former sous-chef Francis Fauvel with the food. The menu will be "a celebration of the seasons and local products" -- even taking its honey from Parisian hives -- and with less of the meat and heavy sauces traditionally associated with fine French cooking. "We decided to take out the sugar, the salt and the fat, to be in sync with a society that's changing," he said, naming "a very beautiful turbot in a champagne sauce" as one of his favourite dishes. Aside from local sourcing, Ducasse boasts of his electric boat's green credentials and how silently it cuts through the Seine. "The direction the world is going in is not to pollute, not to make noise," he said. Ducasse, who has sent food to astronauts onboard the International Space Station, is dismissive of the idea that producing haute cuisine might prove more difficult on a boat than on dry land. 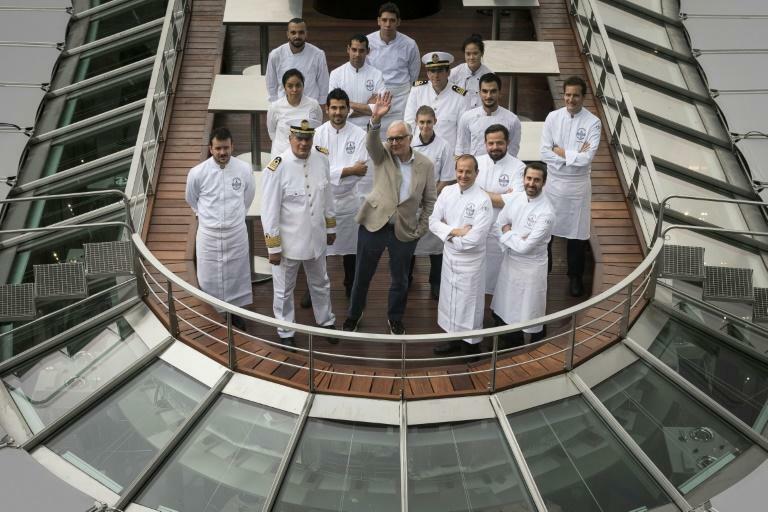 A 36-strong team of chefs and pastry cooks will prepare everything either on the jetty or in kitchens in the belly of the 300-tonne vessel, which has a wine cellar kept to standard temperatures. 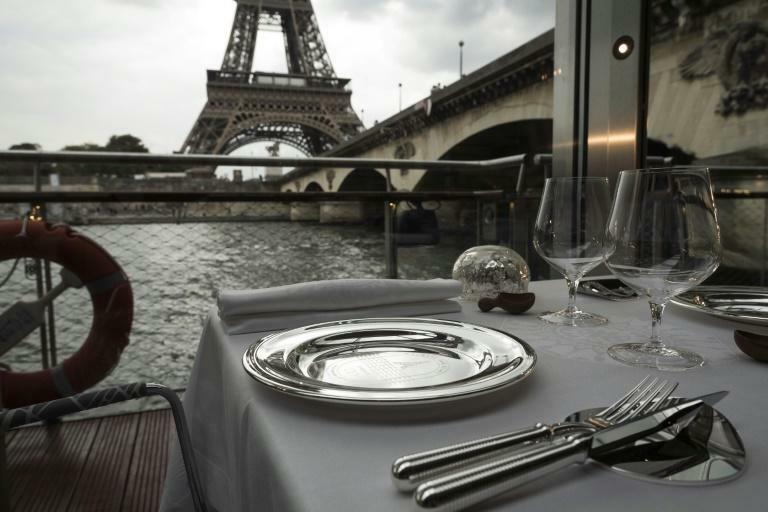 Known for his fastidious attention to detail -- even fretting over whether the curtain rods of his restaurants are right -- he is at pains to distinguish his flashily decorated new eatery from the existing river boats offering dinner cruises along the Seine. "I was a consultant on the boats of Paris, and I think that has made me want to do better," he said. "It's a floating restaurant, not a boat or a barge where you get fed."